It happened at a dinner party, organized by two sisters and their brother. Earlier, the brother, Lazarus, had been raised from the dead by Jesus. One sister, Martha, was serving the guests. The other sister, Mary, stunned the guests by an outrageous act. She took some very expensive perfume, poured it on Jesus’ feet, and then wiped His feet with her long hair. Judas Iscariot challenged the action, indicating how much of a waste it was to throw away good perfume this way. It could have been sold, he said, with the proceeds given to the poor. Jesus, however, knowing that He was just hours away from death, supported Mary’s act when He said, "Leave her alone… It was intended that she should save this perfume for the day of my burial. You will always have the poor among you, but you will not always have me" (v. 7-8). Inside the room, Mary’s act changed the atmosphere around the table. Outside, a large gathering was taking place, comprised of people who had come to see Jesus and this resurrected fellow, Lazarus. John called the raising of Lazarus a "sign" (v. 18). It pointed people toward God, and was one sign among many that Jesus was, in fact, the presence of God in the human situation, something the chief priests rebuked with zeal. Sadly, for the chief priests at least, on account of what Jesus had done for Lazarus, "many of the Jews were going over to Jesus and believing in him" (v. 11). Seeing the crowd growing, the priests concluded that both Jesus and Lazarus needed to be killed. This had to end, somehow, they concluded. Isn’t this an interesting story? You have Mary and her perfume in an act of very expressive worship. You have Judas the thief, "keeper of the money bag" criticizing (v. 6). You have Martha, serving the people. You have Lazarus "reclining at the table with" Jesus (v. 2). You have the crowd outside growing. You have the chief priests complaining and plotting Jesus’ and Lazarus’ demise. You have Jesus celebrating Mary’s action, and talking about His upcoming death. A couple of people are missing – you and me. Where would we fit in this story? How do you feel about Mary? How do you feel about Judas? How do you feel about Martha? How do you feel about Lazarus? How do you feel about the growing crowd? How do you feel about the chief priest? How do you feel about Jesus? How do you feel about you? I have a hundred thoughts running through my mind right now, and the main one is "I wonder how Jesus feels about what I am feeling about all this? I can’t get away from one sentence in the story: "Leave her alone." Let her worship. Let her express her heart. Everybody else is expressing what is in their hearts. Why can’t Mary? 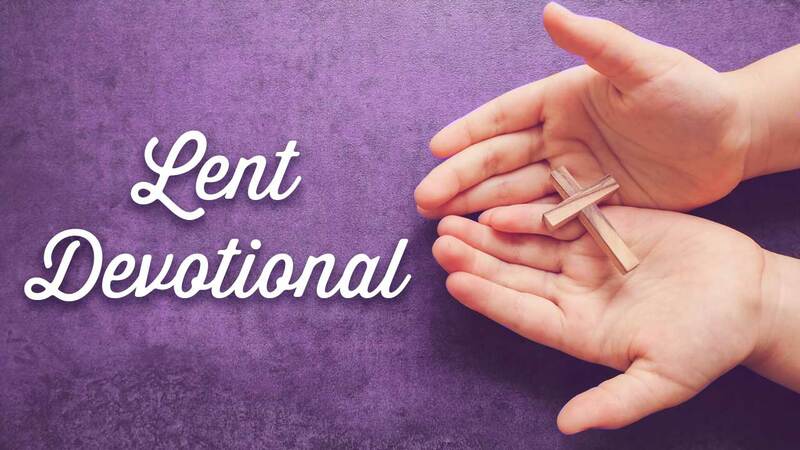 In Lent, where do we find ourselves in relationship to Jesus? What is He evoking in us? How can we express what we believe concerning Jesus? To another woman Jesus had said, "True worshipers will worship the Father in the Spirit and in truth, for they are the kind of worshipers the Father seeks" (John 4:23). I think Mary gets it.